. .: Pillar Interior Design :. . The business show at the YMCA in December 2006 was a big success. There were three prizes awarded for Best Booth. 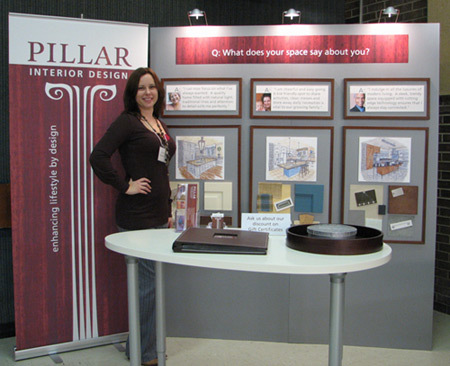 Pillar Interior Design won first place! Take a look at our booth.